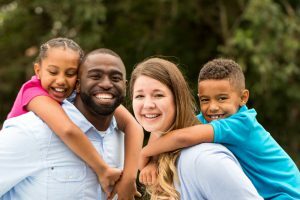 While estate planning is important for everyone, it’s extremely important if you have a blended family. One of the biggest reasons for this is that blended families are much more likely to have complicated issues and it’s a situation in which small mistakes can become big ones if you don’t plan ahead properly. It’s important to identify an attorney who has experience with handling these kinds of complex concerns in your family so that you have peace of mind that you’ve considered all options. More and more Americans are part of a blended family. This simply refers to a situation in which one or even both spouses are bringing in children from a prior marriage. It can be really complicated to approach estate planning in these situations in which the adult probably wants to care for their surviving spouse as well as children from the previous spouse. One way to do this is to consider using a trust. When opting for a trust, you have more say and control over how your assets are distributed. Setting up a meeting with an estate planning lawyer is strongly recommended if you’re thinking about using a trust. It’s about more than putting together new documents, however. You’ll want to be equally concerned about updating documents you already have. Even the best of intentions and clear instructions in your estate planning documents can be overridden if the account in question is one where you need to name beneficiaries. For example, your IRA or your life insurance policy carriers will keep your instructions about who is to receive your assets. If you don’t also update these materials when you get remarried, the company will carry out the last valid instructions you left on your beneficiary forms. If you forget to update these, there’s a strong chance that your previous spouse could be legally entitled to receive some or all of those benefits. Set aside a time to meet with your estate planning lawyer to talk about how your previous marriage and your new marriage warrant a review of your estate planning goals. Setting aside the time to talk to someone who understands the legal implications of these issues can be extremely helpful and give you some confidence that you’ve put together a plan that reflects your current needs.